​​Our sanitation product line ranges from luxury, ground Level single and muliple stall, ADA compliant orUnisex, to portable toilets that fold, flush, and store efficiently. The examples shown below illustrate our innovative, efficient, proprietary sanitation line of products. If you do not see what you need, just contact us! Click Pictures Below for More Info! ​44" x 44" x 89"
​41" x 41" x 84"
​41" x 41" x 80"
one hundred thousand smaller events over the last 45 years. You can view our products on this page by clicking on the pictures in the gallery on this page. 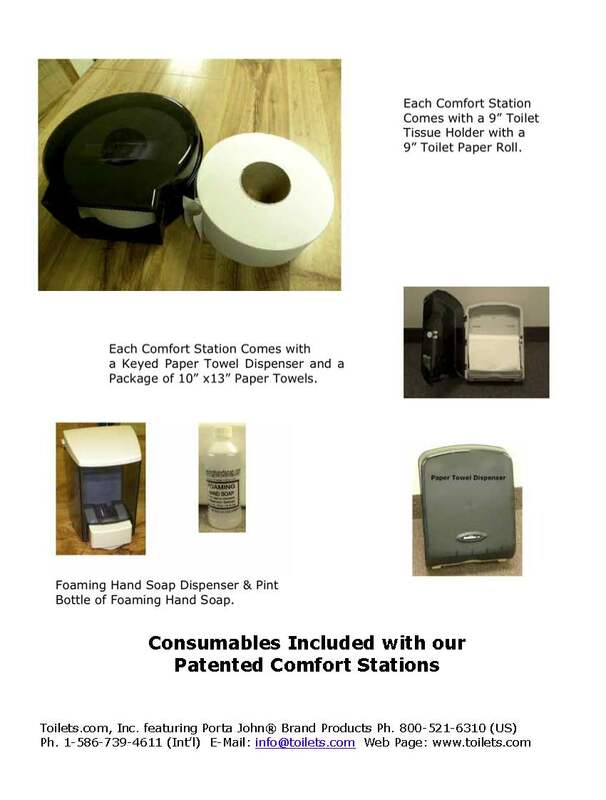 Each product picture has a link to either http://www.ComfortStations.com or our other companion web sites.